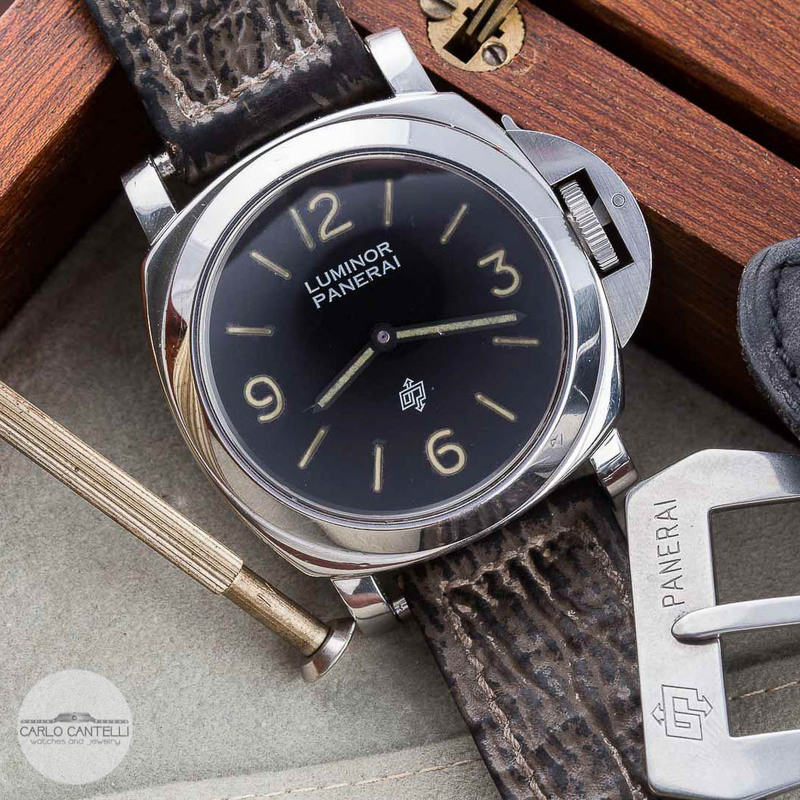 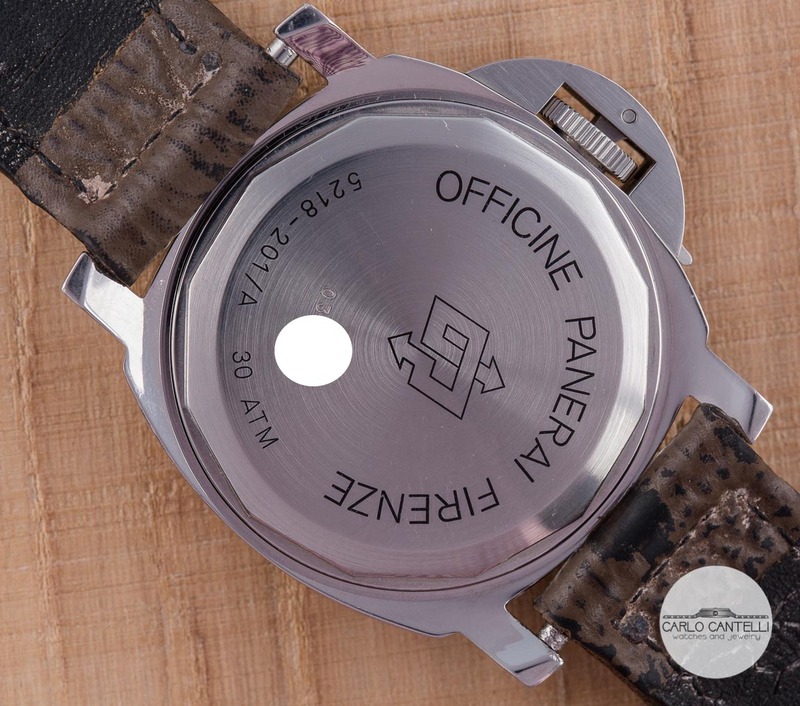 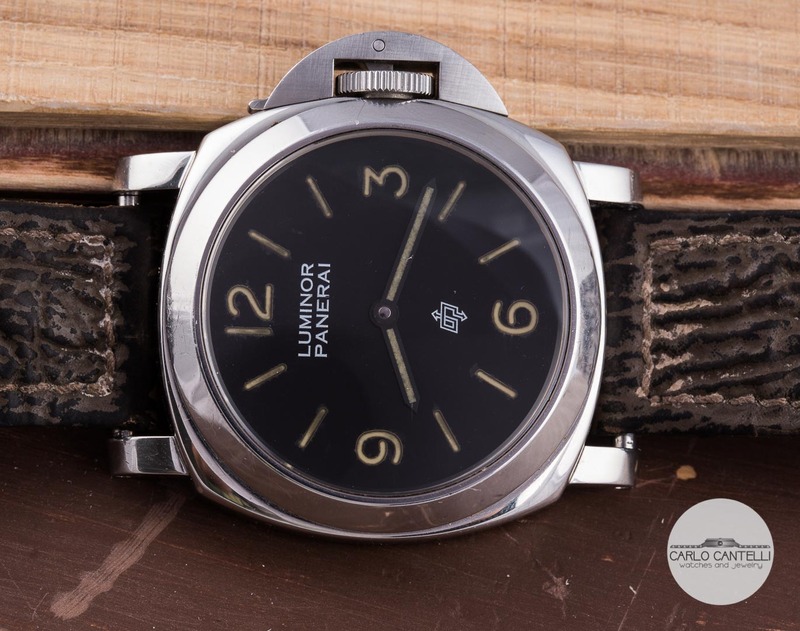 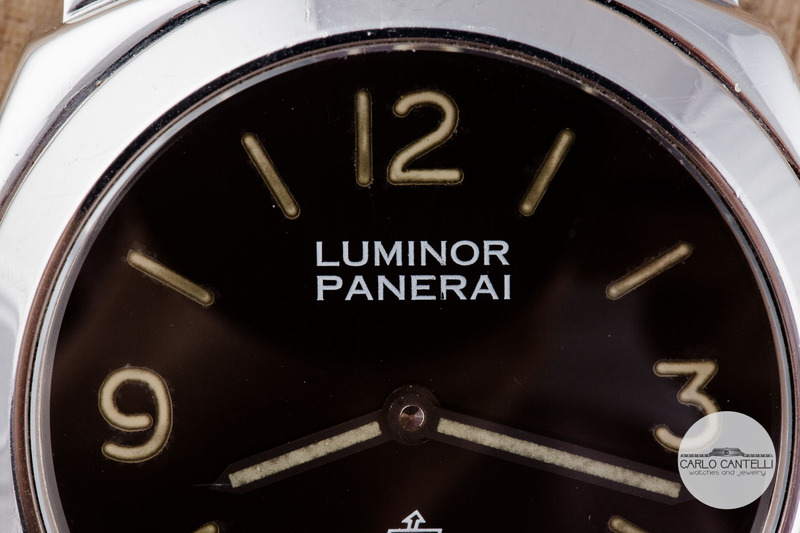 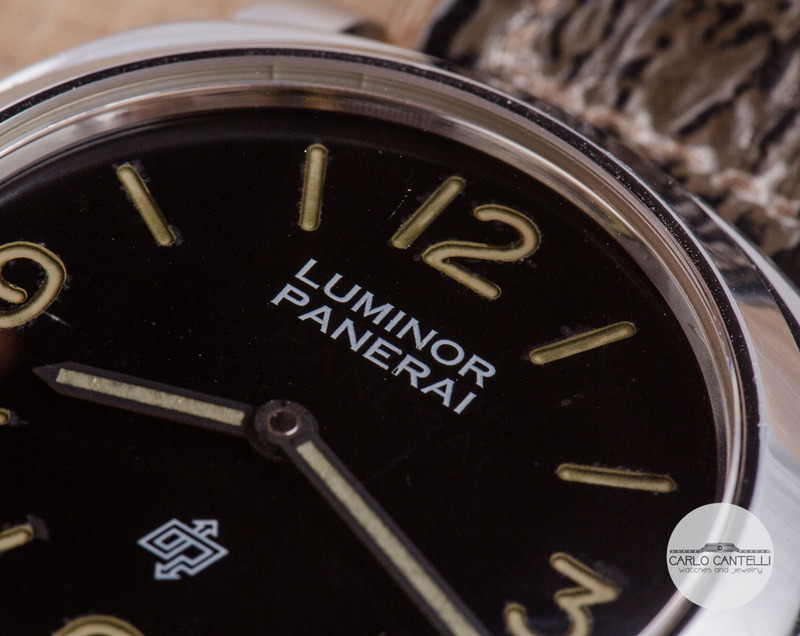 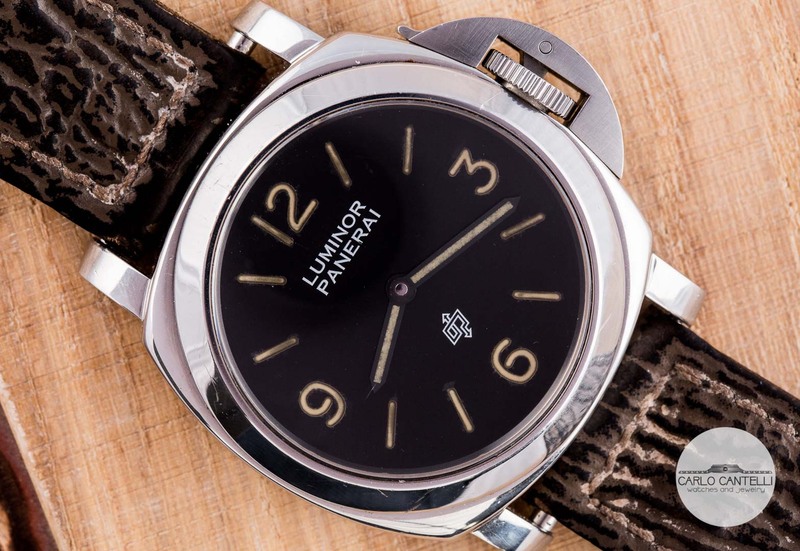 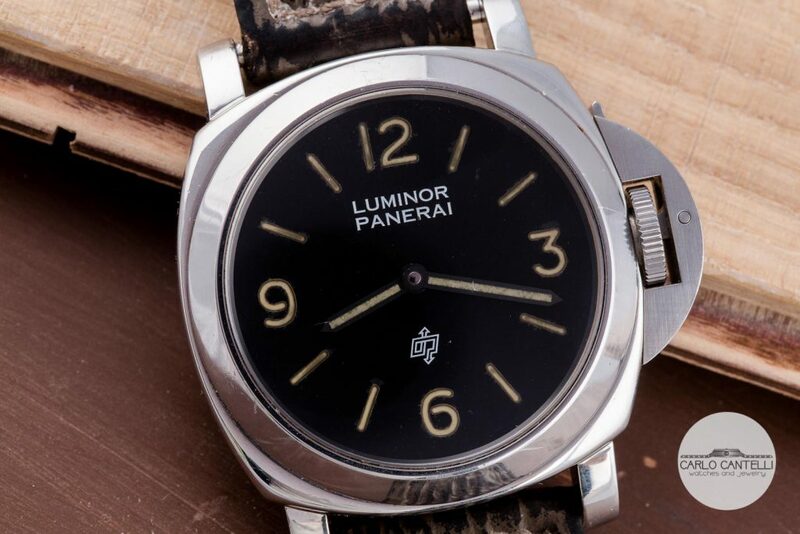 Interesting and extremely rare Panerai Luminor Logo Pre-Vendome ref.5218-201/A. 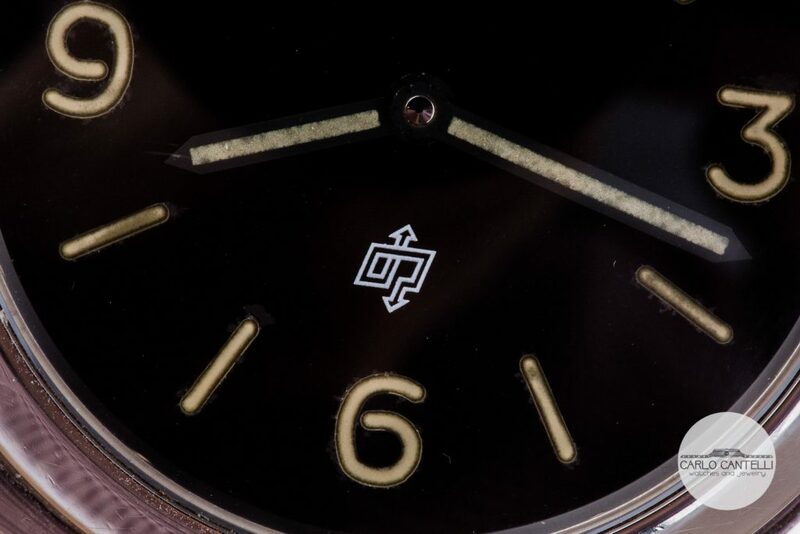 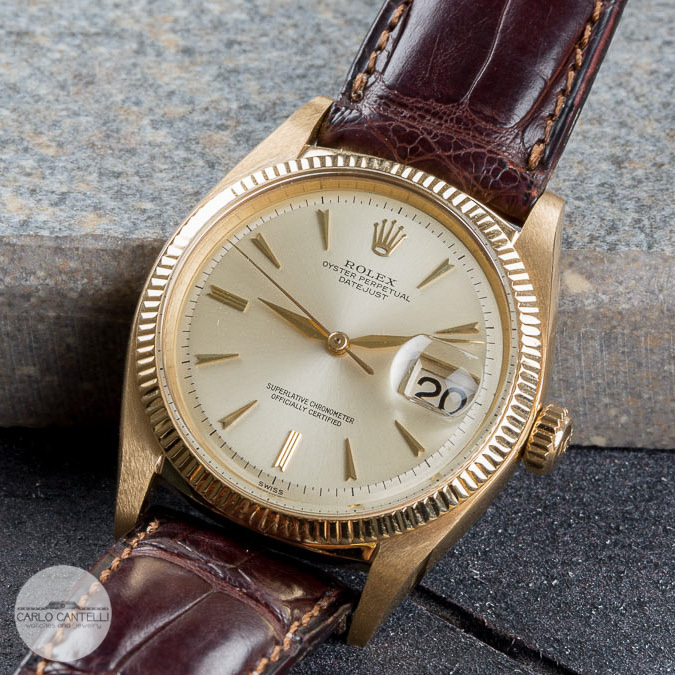 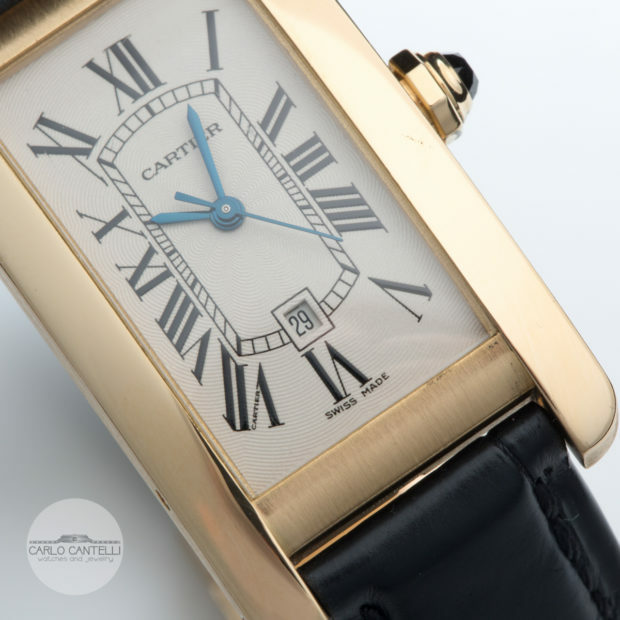 The watch is completely original, in excellent shape and completely serviced by an expert watchmaker. 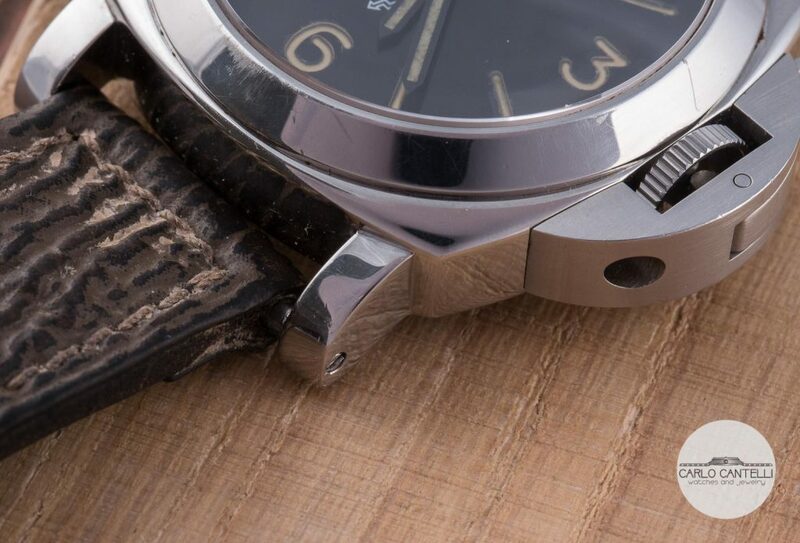 Only a few scratches can be seen on the case, the watch, howewer, has never been polished. 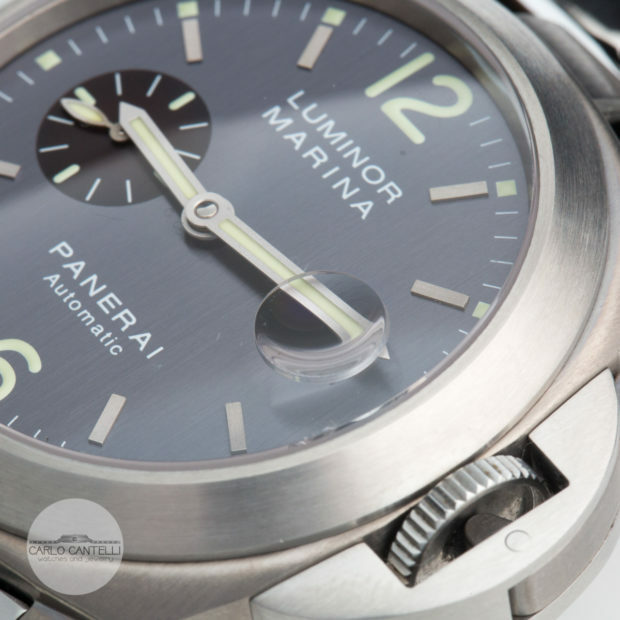 44mm diameter, stainless steel case, tritium indexes, unitas caliber 6497. The watch with its original box and papers and the uber rare screwdriver and 2 original Panerai buckles. 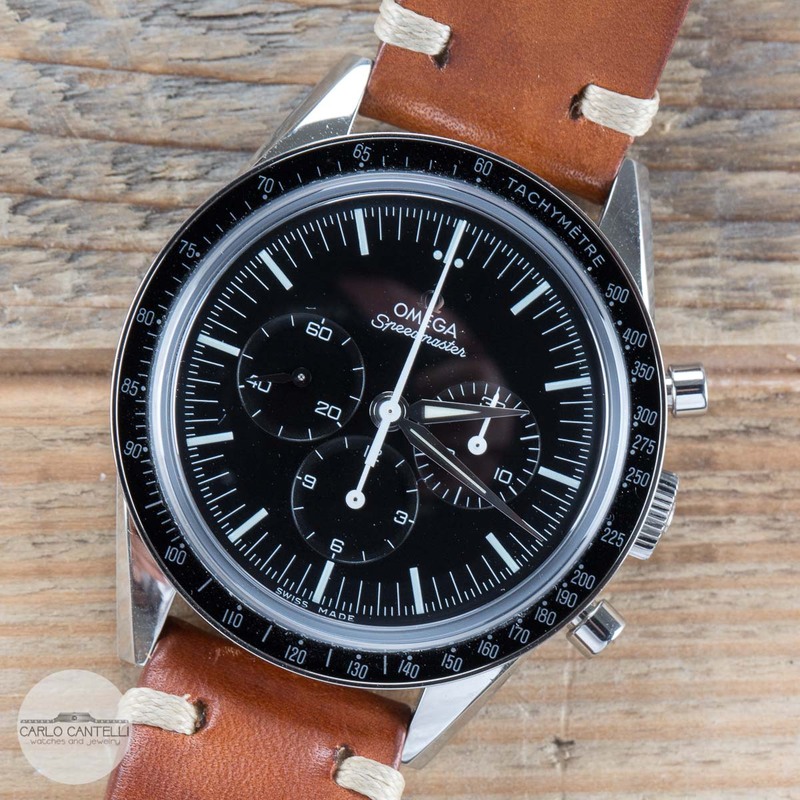 The straps are generic. 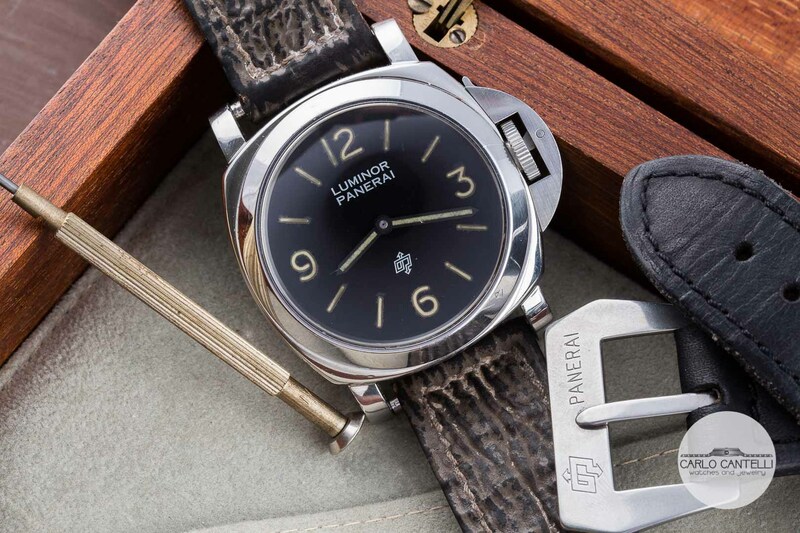 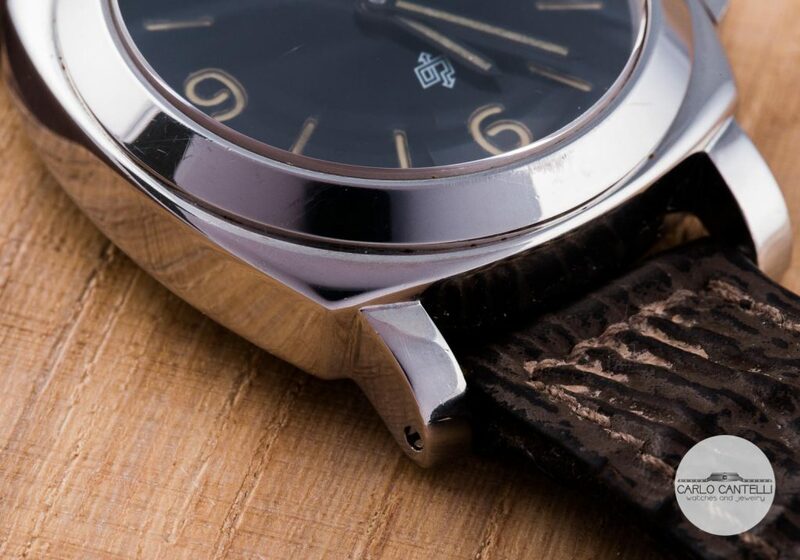 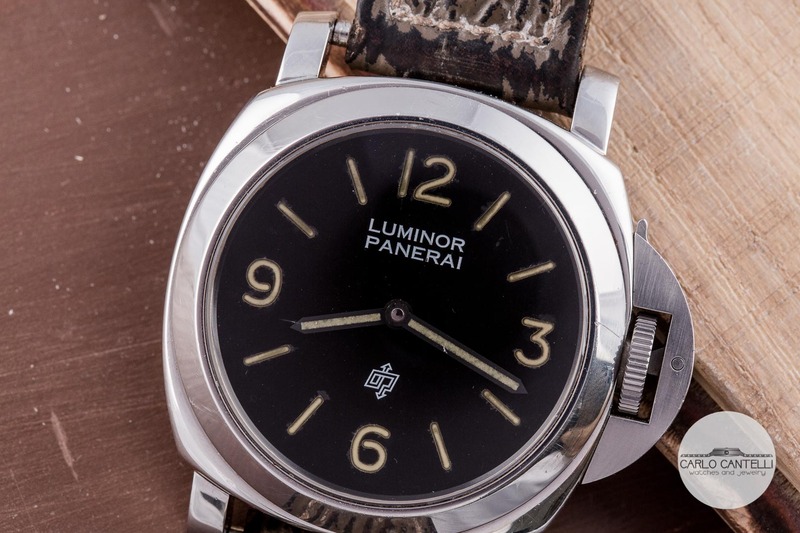 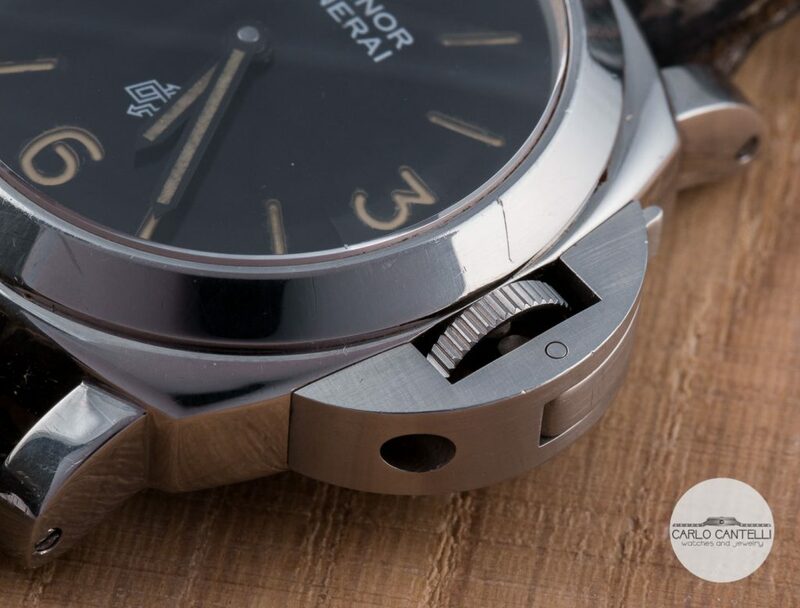 This watch is one of the most sought after and collectible Panerai.